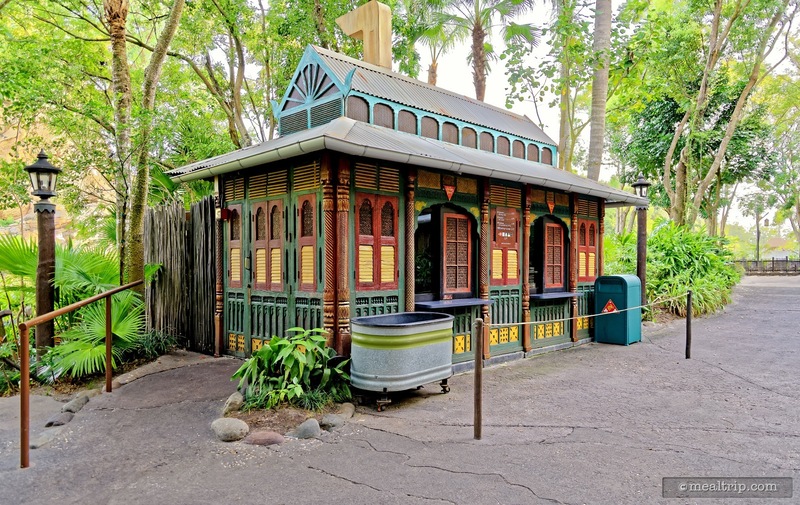 Mr. Kamal's is another unmarked kiosk located on the pathway from the Asia area (past the Flights of Wonder) into the Africa area. It is on the side of the pathway that is closer to the Tree of Life. If you're around Warung Outpost kiosk (frozen margaritas), you are in the right area. This kiosk may only be open seasonally. 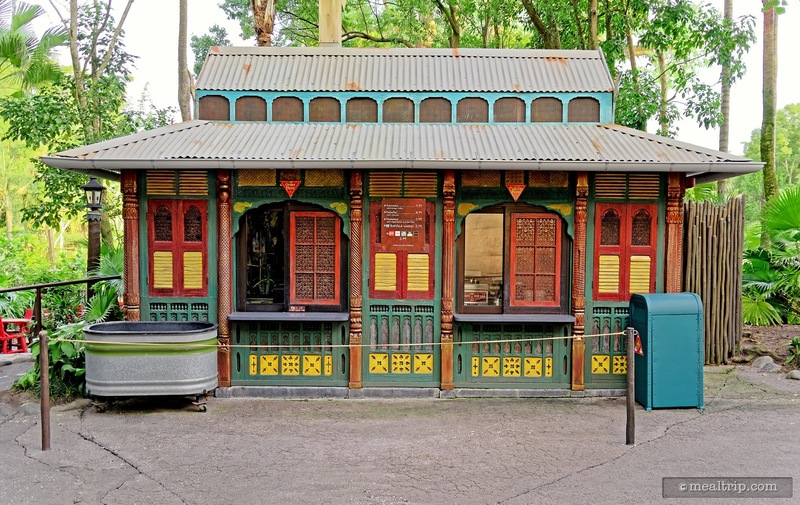 There is not much seating around, but if you're willing to stroll a bit more toward the Asia area, you'll find covered seating on the waterway, that is on the same side of the path as the Mr. Kamal's building itself. At the moment, there's an almost British/Indian cuisine theme going on with Samosas with Mango Salsa, Falafels, and Hummus. 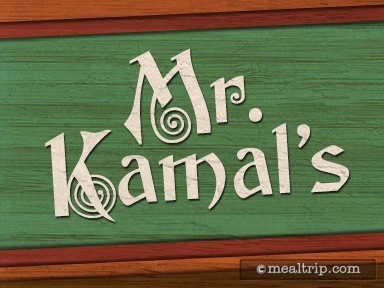 Items to change from time to time though, and tend to set somewhere between Asian and Indian cuisines.